China-Angola partnership has entered a new era of development under the Belt and Road Initiative. At the invitation of Chinese President Xi Jinping, Angolan President João Lourenço is on a state visit to China from October 8 to 10. President Lourenço is the first head of state of an African country to visit China after the Beijing Summit of the Forum on China-Africa Cooperation (FOCAC) in September. His visit to China is the second in just over a month after attending the FOCAC Summit. The frequent visits between leaders of China and Africa reflect the strength and depth of China-Africa cooperation as well as the consensus and determination of both sides to jointly build a community of shared destiny between China and Africa. China and Angola established diplomatic relations on January 12, 1983. Since then, bilateral relations have developed smoothly. When Angola's 27-year civil war ended in 2002 and its reconstruction began, the country was unable to get financing from the International Monetary Fund and Western countries. Thanks to Chinese capital, technology and projects, Angola ushered in a period of rapid economic development for more than a decade. Angola once became China's largest overseas oil exporter. The infrastructure in Angola has also undergone tremendous changes. Luanda, the capital city, once dark at night, is now a well-lit pearl on the Atlantic coast. When Xi Jinping, then vice president of China, visited Angola in 2010, China and Angola officially established a strategic partnership. 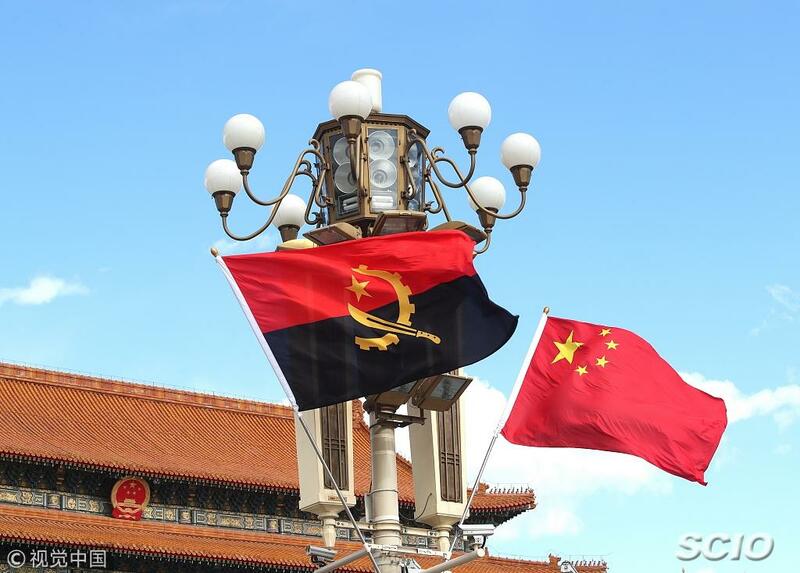 Since the establishment of diplomatic relations between China and Angola, China has provided more than US$60 billion in loans to Angola for infrastructure construction such as power plants, roads, bridges, hospitals and houses. So far, China has helped Angola build 2,800 kilometers of railways, 20,000 kilometers of roads, 100 schools, 50 hospitals and 100,000 houses. These efforts have greatly improved Angola's infrastructure and its people's living conditions and laid a solid foundation for further economic and social development. For example, in August 2017, the Caculo-Cabaça Hydropower Station built by Chinese enterprises started construction in the city of Dondo in Cuanza Norte. It's the largest hydropower station built by Chinese enterprises in Africa so far and is known as the "Three Gorges Project of Africa". It will greatly reduce the electricity supply and demand gap in Angola and promote local economic and social development. And after the completion of the project, the Chinese enterprises will also be responsible for the operation and the maintenance of the power station for four years and the training of a number of professional power station managers and technical personnel for Angola. In recent years, considering the fluctuation in the international oil market, Angola, one of Africa's most important oil producers, has also begun to work hard to diversify its national economy and hopes to strengthen its cooperation with China in the areas of infrastructure, education, science and technology, electricity, personnel training, agriculture, industry and finance. China-Angola partnership has entered a new era of development under the Belt and Road Initiative. Today, more and more Chinese companies are actively involved in the development of agriculture and light industry in Angola, helping Angola achieve diversified economic development by engaging in the construction of industrial parks and infrastructures. Western media once played up China's "debt diplomacy" in Africa, believing that industrial parks and infrastructure invested by China have increased the debt of African countries. However, through cooperation with China in the early 21st Century, Angola, the country once heavily indebted under Western colonial rule, achieved a double-digit annual average growth rate. China also helped Portugal, the former colonial power in Angela out of the economic conundrum by providing it with loans when Portugal fell into a debt crisis. This episode became a high tide of "North-South Cooperation". The story also shows that it is not a terrible thing to have a certain degree of debt at a particular stage of development. As long as the money is used for development, livelihood-enhancing projects and improvement of the investment climate, a country can not only relieve itself of debt but even help other countries to cope with the debt crisis. At the Beijing Summit in September, China and Angola signed a memorandum of understanding (MOU) on the Belt and Road Initiative. I believe that China-Angola partnership will usher in a new era of development with the impetus of the summit and President Lourenço's visit to China.